Odds are that if you go to prison and are lucky enough to get out, you'll be going back sometime soon. Julio Medina, however, beat the odds. A drug-dealing gang leader when he entered prison, Julio left 12 years later a changed man. He created Exodus Transitional Community, a program in Harlem dedicated to breaking the cycle of incarceration that ensnares so many. The trick to Exodus is that its staff knows firsthand what it's like to go to jail. They're all ex-cons - a badass group of do-gooders who reach out to their clients like nobody else can. 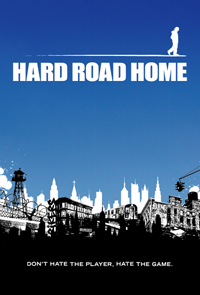 HARD ROAD HOME tells the story of this high-risk, high-drama world and the extraordinary task of turning around the fate of any person born into it.